315th day of the year. There were then 50 days left in 2018. 51st day of Fall. There were 40 days left till Winter. 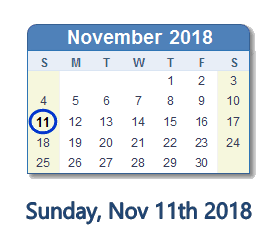 What happened on November 11th 2018? Trump and Macron meet. What’s left to talk about?